Why legal translation services in London? You know, as we do, that globalisation has radically changed the way to do business. Local economy practically no longer exists. You already have employment, tax, and communication advisors in your team who help you to achieve your global goals. Do you also have reliable linguistic advisors who can help you with your legal translations? Do you have a trusted partner who takes charge of the translation of the documents generated by your commercial activity in other countries and also helps you and provides advice about how to lower paperwork costs? How many documents did you check? One? All of them? If you are going to move in the international market, you will need a reliable, high-quality translation not only of these documents, but of all the documents which might be reviewed by or sent to a public body. To summarise: you need high-quality legal translation. Did you have all the documents required for a tender in China translated and they were not accepted? Did you try to translate an agreement into English to do business in the United States and realised that the terms are completely different? The legal system in the countries neighbouring Spain, like France and Portugal, is based on Roman Law. However, in countries like the United States, the United Kingdom, Russia and China, there are deep cultural differences as regards their legal systems. These basic differences mean, among other things, that the regulations for trade relationships are not common to all countries. Every state, and consequently every language, has its own rules that have an influence on your company’s documents, from the drafting of a simple contract to the design of prevention plans, collective agreements, partnership agreements, property certificates, transfer or acquisition of intellectual property rights, claims and lawsuits (these are just a few examples). Your specialised legal translation team should bear this in mind. The opening of markets, internationalisation processes, and above all, the generalised use of the Internet by companies and clients has led to deep changes in trade relationships. And yes, in your business too. These changes have led to an exponential increase in the number of laws, provisions, lawsuits, agreements, disputes, trials and claims internationally. These changes can bring you significant benefits which you should be able to make the most of: access to a larger market, more opportunities to bid in tenders, and, above all, the possibility of increasing your sales. For this reason, now more than ever you should have an established translation agency work with you throughout the internationalisation process, supporting your investment and your effort to get ahead in a global market that is profitable but demanding and competitive. A partner that guarantees that the translation of your agreements, your bids and other legal documents will be profitable and effective. 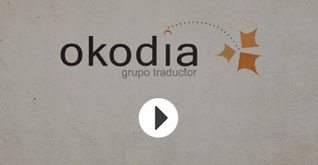 How can Okodia – Translation Group help you to negotiate the legal maze that is the international market? Simple: with high-quality legal translation. We provide specific answers to your specific needs. We provide a team of qualified translators specialising in international law. Professionals who specialise in law, contracts, insurance… with the support of legal professionals, and with access to the main legal resources. We provide official sworn translators. Qualified professionals, certified in different countries, who ensure that your company’s translations follow the local idiosyncrasy of the target country. Do you already have a presence in other countries? Is the internationalisation of your company starting now? Make sure that your work and your investment yield fruit. Make sure that your company has the best reliable partner.